Can a person who looks good but feels as though they are changing on the inside have the same problem as a person who still feels okay but looks years older than normal? Yes, they could possibly both be dealing with the side effects associated with AGHD – adult growth hormone deficiency. This article will show how to get a prescription for HGH injections if they are required for combatting the effects of this condition. How is it possible that two people with very differing symptoms can be diagnosed with the same thing? Before delving into the how’s of receiving HGH therapy from the doctors here at HT Medical Center, it may be helpful to explain the functions of the chemical known as the “master hormone” in the body. Deep inside the anterior part of the tiny pituitary gland, a substance called growth hormone (GH) is produced. At varying intervals throughout the night and day, this chemical is released in rapid bursts. As it races to its receptors in the body, it leaves behind its mark causing certain effects to occur. Those searching for how to get a prescription for HGH injections may notice many of the reversal of these effects occurring. GH stimulates the brain to process and retain new information while also being able to recall that which was previously stored. It signals cells in the muscles and bones to maintain tone and density. This vital substance signals the liver to secrete another valuable player in bodily function – IGF-1 (Insulin Growth Factor 1). Together, these two chemicals play a leading role in cell reproduction. In addition to areas already mentioned, these cells are required by the hair, skin, nails, internal organs, and blood to keep the body moving at a proper pace. Immunity, energy, metabolism, mood, and outlook are also affected when the production of GH drops lower than what the body needs in order to thrive. Is a Prescription Required for HGH Injections? There are vitamins and supplements that claim to help with many of these problems, so why is a prescription required for HGH injections if they do the same thing? Ask the thousands of people who have tried the supplement route with no luck who now find that receiving human growth hormone therapy is the answer they have been searching for all this time. 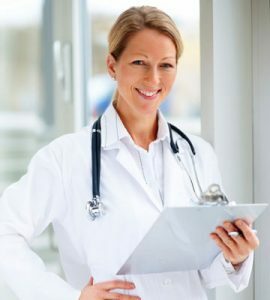 Just as with any other type of pharmaceutical intervention that must be ordered by a doctor, hormone replacement is strictly by prescription only based upon the specific needs of the individual’s body. There are strict regulations that must be followed in order for a physician to provide a script for this medication to be administered. These regulations include the need for a comprehensive lab workup that includes testing numerous blood levels that will determine if GH or any other chemicals have decreased to the point where they are having negative effects upon a person’s health or wellness. The doctor will then also be able to use these results to decide what medications and dosages to provide that will bring the desired relief and reversal of symptoms. Why is a prescription required for HGH injections but not the other forms that are advertised on the internet and available in health food stores? The only way to get real HGH is via bioidentical injection therapy. The oral pills, nasal sprays, skin patches, and liquid drops that are for sale do not contain any real human growth hormones. They are strictly amino acid and vitamin blends that have been shown in numerous research studies not to accomplish the goal of raising the level of GH in the body. They simply capitalize on the fact that people are desperate to find an answer that will help them to look and feel better than they currently do. Is it Hard to Get Prescription for HGH Growth Hormone Injections? Since blood tests are required, is it hard to get prescription for HGH growth hormone injections? Those who are diagnosed with low levels of this crucial chemical will not have difficulty receiving the treatment that they need. There is nothing that will stand in their way of receiving the finest level of care that is available. HT Medical Center is one of the nation’s premier clinics for hormone replacement therapy (HRT). The doctors here are experts in this field, and understand the varying changes that the body goes through when specific chemical levels do dip below a certain point. They provide the proper care to people based upon the results of the blood tests, as well as the required physical exam. All the steps needed to diagnose this condition are easy to accomplish in a matter of days, making the answer to is it hard to get prescription for HGH growth hormone injections a welcome no! Those who are not found to have this deficiency will be provided guidance as to where to turn next. In some cases, our doctors find that changes in the level of testosterone is to blame rather than GH. Sometimes, it is a combination effect that requires the proper treatment. By testing for a number of different chemical levels, it is then possible to ensure that precisely the right type of therapy, whether HGH, testosterone, a combination of the two, or another type, is provided to all those who need it. The rejuvenating effects that can then occur can truly make a unique difference in one’s life. What Would Make a Doctor Prescribe You HGH Injections? If a person was to contact a specialist in this field, what would make a doctor prescribe you HGH injections? The first thing that is looked at is the current state of health. There are a number of different signs that someone is dealing with the unpleasant effects of low growth hormone production. Any combination of these symptoms may be present, and the absence of some does not have any particular bearing. It is the way in which GH is processed by the body that will determine which signs are recognizable. The list below is a comprehensive guide of the most common occurrences that are noted by those with this deficiency. Low or decreased energy, poor stamina and endurance for all physical activities, fatigue, lethargy, exhaustion. Difficulty with falling or staying asleep. Feeling unrested upon awakening in the morning. Hair loss or thinning, balding or receding hairline, and premature greying. Loss of collagen that results in sagging skin, wrinkles, age spots, and increased cellulite. Decreased night vision and eyesight, requiring changes in vision strength of glasses. Impaired cognitive functions in the areas of learning, processing new information, completing mental tasks, recalling stored knowledge, and memory concerns. Decreased cardiac capacity, running out of breath, high blood pressure, and high cholesterol. Slow metabolic functions resulting in weight gain, especially belly fat. Internal organ shrinkage resulting in reduced performance. Loss of lean muscle mass and tone, resulting in decreased flexibility and structural protection of the skeletal system. Reduced bone density, increasing the risk of fractures and the development of osteoporosis. This also results in an overall shrinkage in height. Changes in mood and outlook, depression, and feelings of unease and dissatisfaction in life. Decreased sexual desire and intimacy. Reduced physical pleasure. Those asking what would make a doctor prescribe you HGH injections can look over the list above to determine if they have any of these symptoms. If nothing on the list applies, then the answer may be found elsewhere. The chance of dealing with low growth hormone levels is increased depending upon the number of the signs that are present, the duration they have been noted, and the severity of the symptoms. During the initial consultation over the telephone with a clinic advisor, this will all be discussed, and if recommended, blood testing will be arranged at a local laboratory. People often ask about how to get their own family practitioner involved in this process. It is not always the best move to ask how to get prescribed HGH injections from your doctor. General and family practitioners are well-versed in many areas of medicine, but leave certain things to specialists. Such is the case with hormone replacement treatments. This type of therapy is best left to those who have spent years in this field, researching the various interactions of these chemicals and how they affect the human body. That is why very few general physicians will get involved in this treatment. Many do not have any real knowledge of this subject, and, therefore, are not able to provide the guidance, testing, and medication that is required to put an end to the annoying symptoms that are present. Asking how to get prescribed HGH injections from your doctor is similar to requesting that a dermatologist fix a broken bone. They may be able to accomplish the task, but they will probably not do as good a job as a specialist. There are reasons that different physicians focus on one area of medicine in their practice, and that is to provide a higher level of care to their patients. No one person can be a master of all trades, which is why it is best to seek out the help and support of one who is an expert in that particular area. Placing oneself with the right MD is what is required to see positive improvements. 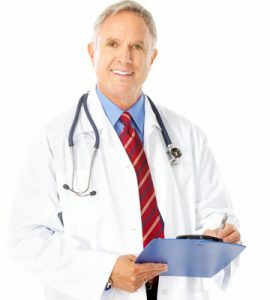 What Kind of Doctor can Prescribe HGH Injections? How does a person know where to begin their search for the right individual to help them? What kind of doctor can prescribe HGH injections to adults with the symptoms listed above? A physician who specializes in hormone replacement therapy traditionally works with those over thirty who have noticed that changes are taking place that affect either their performance in different aspects of their life, their overall healthfulness, their appearance, or their mood and demeanor. These professionals may be embarking upon this path directly out of medical school, or they may have changed areas of specialty over the last two decades as this field has emerged into mainstream medicine. Some come from backgrounds in gynecology, endocrinology, dermatology, and even general practice. What they all have in common is an overwhelming desire to ensure that people are able to have the quality of life that they desire whenever possible. Discovering what kind of doctor can prescribe HGH injections is the first step. Each of these highly trained professionals has spent years honing their skills in this area. They stay up-to-date on the latest test results and studies that are published in medical journals. Careful reviews of the various brands of HGH human growth hormones on the market is another requirement to offering the best treatment available to those who rely upon this guidance. All of this leads to physicians who are the best choice to contact when a suspicion of changing chemical levels in the body is present. Why Would a Doctor Prescribe HGH Injections? There are other people who sometimes seek this type of treatment when it is not required. Why would a doctor prescribe HGH injections in that case? 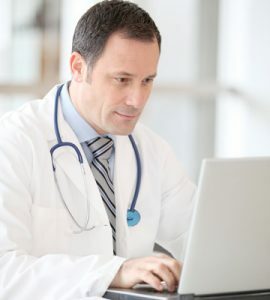 A reputable and legitimate medical professional will not risk their career by giving a person a script for human growth hormones if they are not needed. There is a segment of the population that are involved with bodybuilding and sports that believe that this treatment can bring them great benefit. After all, muscle size and tone, as well as endurance will all improve once HGH therapy begins. This, however, is only applicable to those who have noticed problems in this area due to a decrease in natural GH production. This does not apply to athletes and bodybuilders. Not only is it illegal to purchase this medication for those purposes, it is a foolishly dangerous thing to try. Why would a doctor prescribe HGH injections to people as young as thirty? This is the earliest age at which the body begins to alter the secretion of various chemicals, growth hormone and testosterone included. These two therapies are often discussed together as a decrease in one’s production can signal the same in the other. From the age of thirty onwards, secretion may continue to decrease year after year. There are those who seem to “age” at an early age, and they are more likely to receive this medical interaction long before their counterparts with the genes that keep them looking and feeling young when most others are starting to slow down. Careful testing goes into the determination of who is or is not a candidate for this course of action. How Can I Get My Doctor to Prescribe HGH Injections? 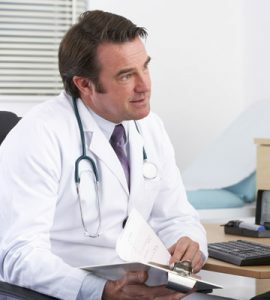 Once a professional specialist is found, how can I get my doctor to prescribe HGH injections? The simple answer begins with providing a truthful account of any symptoms that are present. If the only thing that applies from the list above is fatigue, mention only that. Do not invent symptoms that are not present. This does nothing to help determine the real cause of whatever discomfort or changes are affecting one’s life. Also, do not downplay or upgrade the symptoms in hopes of a specific outcome. A person could say they have every sign on the list, but if the blood tests do not show low hormone secretion, then no treatment in that area will be offered. Also, physical examination will also provide some additional insight into what is naturally occurring. 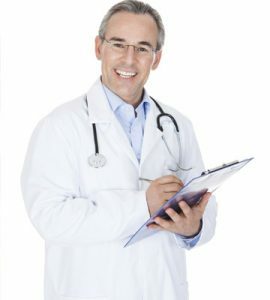 Asking how can I get my doctor to prescribe HGH injections really means going through the proper steps to receive an accurate diagnosis. There will also be a health questionnaire that will be completed online through a secure link that is provided by the advisors at HT Medical Center. The reason so many people turn to our professional staff is the high quality service that is provided. Our physicians treat people in all fifty states by helping them replenish their hormone levels that have fallen off due to time, age, lifestyle choices, genetics, and any other reason that is preventing a life filled with passion and vitality. How Much Does HGH Cost with a Prescription? Another plus that many people report when it comes to dealing with this clinic is the affordability factor. How much does HGH cost with a prescription from our local doctors? Due to the nature of the guidelines that have been put in place at our clinics, prices are kept lower than in many other locations. This begins with the fact that we can conduct our consultations over the telephone rather than with lengthy and expensive office visits. Yes, face to face is required at local labs for the blood tests, and with a local physician for the required exam, but many people see their own family doctor for their physical. Those who choose otherwise can visit a clinic that can be recommended by our advisors. There is another reason why are prices are kept low when people ask how much does HGH cost with a prescription. That is due to the wide variety of offerings we provide. There are numerous pharmaceutical companies producing this medication today, and we provide a range of options for every budget. Our specialists offer Eli Lilly’s Humatrope, Novo Nordisk’s Norditropin, Pfizer’s Genotropin, Sandoz’s Omnitrope, and Merck Serono’s Saizen. Each of these products has been proven to be among the best quality brand name HGH human growth hormone available. The ability to choose between numerous delivery system methods also helps keep the cost within budget. Where Can I Get HGH Injections Legally? There are unscrupulous companies online that sell nearly any type of commodity, and, unfortunately, this type of treatment is no different. Where can I get HGH injections legally that I can trust is a question often asked of our advisors. The answer is right here from our doctors and clinics. Avoiding sites that do not require a prescription is the first step in a process that leads to the safe receipt of the proper type of therapy. It is against the law to sell or purchase this medication without a prescription. Those companies that engage in this practice are usually located overseas, and their health related standards are not the same as what will be found in the United States. Many of the products that they offer are not brand name, and may be of questionable origin and quality. Taking chances with one’s health is never advisable. Always ask where can I get HGH injections legally when embarking upon this path of revitalization. That way, there is a security, knowledge, and comfort that the right medication is being received. The risks involved in purchasing human growth hormones without a written order and diagnosis from a specialist can result in having the shipment confiscated in customs, receiving a dosage that is too low and brings no benefits, getting a dosage that is too high and causes unpleasant side effects, and most worrisome – receiving a product that contains dangerous ingredients or toxic substances such as bacteria. Contact HT Medical Center, the premier US hormone replacement clinic and know that only those with a true growth hormone deficiency will receive the best brands of HGH in a safe and legal manner.